With its articulating blade offering a cutting range of 145° in 13 locking positions, the HL 94 K (145°) extended reach hedge trimmer allows landscapers to precisely trim difficult angles of hedges. Built for professionals with easy maneuverability in mind, the HL 94 K (145°) has a lightweight gearbox and a powerful, low-emission engine to tackle tough jobs. 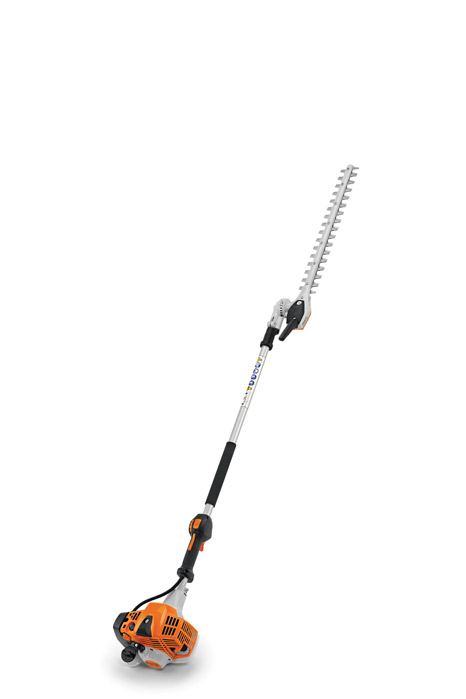 This extended reach hedge trimmer also features the STIHL-exclusive ECOSPEED throttle set wheel for variable speed control, as well as an automatic choke lever which simplifies the starting procedure to just three quick steps. Finally, rubber control handles provide a comfortable grip, letting you cut with ease and confidence.